In response to the World Health Organization's Global Patient Safety Challenge: Medication Without Harm, which aims to reduce severe avoidable medication-related harm by 50%, globally by the year 2022, Pharmapod is establishing a local Response Team in each country to review, analyze and evaluate the medication error data recorded. Pharmapod’s inaugural Response Team has now launched as part of the Ontario College of Pharmacists’ mandatory AIMS (Assurance and Improvement in Medication Safety) program. 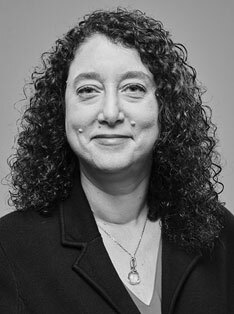 Dr. Lisa Dolovich holds the Ontario College of Pharmacists Professor in Pharmacy Practice at the Leslie Dan Faculty of Pharmacy at the University of Toronto. She is also a Professor (part-time) in the Department of Family Medicine at McMaster University and an Associate Professor (Adjunct) with the School of Pharmacy at the University of Waterloo. The areas of focus for her research work and expertise include the pharmacist integration into primary care team based practice, expanded professional pharmacy services, the patient perspective about using or deciding to use medications, and evaluating the implementation including clinical and policy relevance of complex interventions that can improve the delivery and outcomes of primary health care including medication prescribing and patient medication taking behaviour. Dr. Lisa Dolovich obtained her Bachelor of Science in Pharmacy and Doctor of Pharmacy degrees from the Faculty of Pharmacy, University of Toronto. She completed a Canadian Society of Clinical Pharmacology Fellowship at the Centre for Evaluation of Medicines and completed her Master of Science degree in Health Research Methodology at McMaster University. She was recognized as the first-ever Canadian Pharmacist of the Year (2003) and holds the honour of a Canadian Pharmacists Association Centennial pharmacist. Corey Lester is a medication safety expert who uses pharmacy informatics techniques to improve the delivery of healthcare. Dr. Lester received his PharmD from the University of Rhode Island in 2012 and completed a PGY-1 Community Practice Residency at Virginia Commonwealth University. He received his PhD from the University of Wisconsin-Madison, School of Pharmacy in 2017. 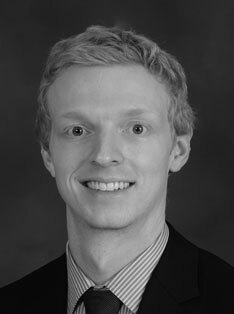 Dr. Lester's research interest is in the application of pharmacy informatics to improve medication use and safety. He uses systems engineering principles and theory to guide his research. His research focuses on analyzing clinical data to identify medication safety risks and develop systems engineering based solutions to create safer, more effective medication use. Dr. Lester's previous work studied the reasons that medication errors occur in pharmacies by analyzing medication error reports using natural language processing. 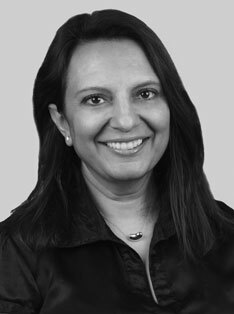 Shelita Dattani is the Director, Practice Development and Knowledge Translation, at the Canadian Pharmacists Association. Shelita received her bachelor of science in pharmacy from Northeastern University and her Doctor of Pharmacy degree from the University of North Carolina at Chapel Hill. She has worked in numerous practice settings in the US and Canada where she has led dynamic teams towards excellence in effective and safe best medication practice. Shelita is a results-oriented and self-driven healthcare professional with over 20 years in clinical practice in hospital, community and industry settings. Shelita is experienced in leading dynamic teams and managing complex projects from initial concepts to patient-focused positive outcomes. 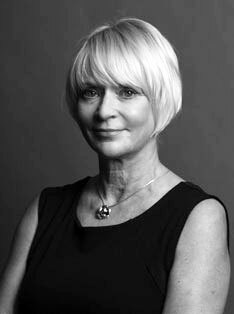 Shelita has built credibility and respect as a patient safety healthcare expert as a result of her significant direct patient care experience, contributing to the cultivation and sustainability of collaborative relationships with key healthcare professionals. Shelita maintains a part-time practice in community pharmacy and remote hospital telepharmacy. She is a member of several professional organizations and holds an active pharmacist license in the province of Ontario. Shelita has a strong interest and passion for advancement of the pharmacy profession through the provision of excellence in patient care. Allison is the Executive Director at the Pharmacy Association of Nova Scotia: PANS. PANS is the advocacy body for 1200 practicing pharmacists, representing 287 pharmacies in Nova Scotia. PANS supports the professional and economic interests of its members to advance the practice of pharmacy and improve the health of Nova Scotians. PANS is the "go-to" organization for advancing pharmacy practice in Nova Scotia: The role of PANS is to advance the practice of pharmacy and ensure its sustainability for the benefit of patients as well as for the pharmacists and pharmacy technicians with whom she proudly works every day. This translates into two areas of focus: ensuring strong working relationships with government, pharmacy professionals and other stakeholders; and integrating pharmacy practice into mainstream health care. 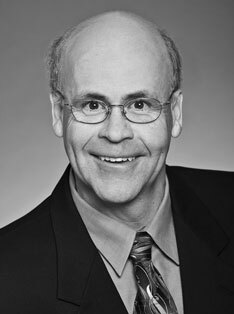 James R. Barker is the Herbert S. Lamb Chair in Business Education in the Rowe School of Business and Faculty of Management at Dalhousie University, Halifax, Nova Scotia, Canada, where he leads the SafetyNET-Rx Pharmacy Safety Research Consortium. Professor Barker's research interests focus on the role of organizational factors in the development of safe and sustainable knowledge, innovation, and change initiatives and the consequences of these initiatives on organizational governance systems, markets, and practices. His experience includes developing a number of undergraduate, graduate, and executive courses. His research interests include: Analysis of ethical and sustainable leadership systems, safety practices, and structures; Communication, safety, strategy and control in sustainable organizations; Consequences of organizational change involving innovation and technology; Strategy in global environments; Structure of knowledge-based and sustainable organizations; Applications of contemporary critical and rhetorical theory to organizations and qualitative research methods with supplemental applications of quantitative methods. 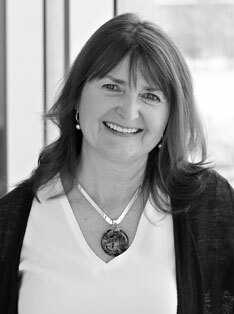 Dr. Nancy Waite is a Professor and Associate Director of Clinical Education, as well as the Ontario College of Pharmacists Professor in Pharmacy Innovation at the University of Waterloo's School of Pharmacy. Dr. Waite's research program examines the development and assessment of curricula to produce pharmacists prepared to provide medication management in an evolving healthcare landscape, as well as explores the impact of novel pharmacist interventions and pharmacist scope of practice changes on medication management and health outcomes. Nancy, along with Lisa Dolovich, co-leads OPEN — the Ontario Pharmacy Evidence Network — a provincially funded multi-institutional study to foster innovation in pharmacy practice and to evaluate the effectiveness of Ontario pharmacist-led medication management programs. An experienced executive level pharmacy professional, Deb has worked in a broad range of environments, including provincial and national advocacy associations, national pharmacy organizations, corporate retail, pharmacy information technology, and retail pharmacy management. She has practice experience in England and Canada, in independent and corporate retail pharmacy, and hospital pharmacy. Deb specializes in creating strategic and tactical direction, introducing and championing change, and finding and implementing solutions that meet the disparate needs of multiple players in complex situations. She has broad strategic perspective and experience in policy development, and in positioning pharmacy and pharmacists within the healthcare system. 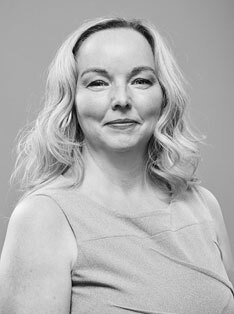 Since November 2011, Deb has been with Shoppers Drug Mart, where she currently holds the position of Senior Director, Professional Affairs. Mark is a Registered Pharmacist and Head of Pharmacy at the University of Canberra and is passionate about education. Mark completed his undergraduate and postgraduate pharmacy training at the University of Tasmania before completing a 3 year post-doctoral position at the University of Groningen and Heerenveen Hospital in The Netherlands. Mark is the Head of Pharmacy Discipline. Mark's career in pharmacy includes: academic, locum, managing, and consultant pharmacist in Tasmania, Northern Territory, and the Australian Capital Territory. Mark has international research experience and was a post-doctoral fellow at the University of Groningen, The Netherlands. Mark has held/holds several medication review contracts with Aged Care Facilities in the NT and ACT. Mark is a member of the editorial board for Journal of Clinical Pharmacy and Therapeutics, a leading international journal in pharmacy and clinical pharmacology. 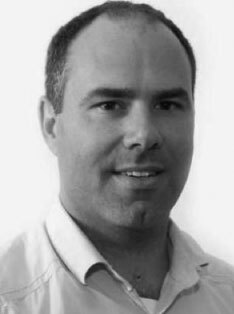 Mark's research interests include Aged Care, Internal Medicine, Pharmacoeconomics, Infectious disease, Medication Review, Pharmacy Education, Drug Utilisation and Medication Safety, Clinical Pharmacy and Therapeutic Drug Monitoring. The Canadian Response Team consists of pharmacy professionals and patient safety domain experts who will analyze the aggregate, anonymized provincial medication incident and near-miss data in Ontario to identify areas of risk and opportunities to improve patient safety. Through the College, it will provide recommendations on strategies in continuous quality improvement with an overall goal of reducing the risk of patient harm caused by medication incidents. The College will also use the aggregate data to monitor trends, collaborate with other partners, share learnings and develop tools and resources to help pharmacies apply these learnings to their practice. Pharmapod’s Global Learning Health System enables review and evaluation of aggregate data by country market, via our Response Teams, to support shared learnings and actionable insight, reducing medication errors and improving patient safety. Ontario is the first province where the Canadian Response Team is undertaking this work to support the College’s AIMS program and its ongoing efforts to help prevent incidents and enhance patient safety. Receive aggregated, anonymized patient safety event data (incidents and near misses) from community pharmacies. Review the data to identify and understand the clinical circumstances under which the event occurs and recognize underlying systems causes. Monitor the occurrence and associated harm level of medication safety event trends at a provincial and national level, across geographic territories. Provide support and recommendations to the College which will then be shared broadly.